Our plane touched down at Tel Aviv’s Ben Gurion Airport an hour later than expected, late on a Saturday afternoon. The airport itself was quiet, almost sleepy, and within 30 minutes we had passed through customs and immigration, connected with the driver sent by our tour company, and were on our way to Jerusalem. The roads were empty because it was Shabbat, the Jewish day of rest. Almost every business we passed was shuttered, and even the sidewalks lacked pedestrian traffic. Later, when Shabbat was over and the streets were loud and crowded, I was grateful to have enjoyed a brief look at the city while it was still. Jerusalem is home to almost one million people and attracts more than double that number each year, and while I loved its unique energy the quiet time was wonderful for reflection. 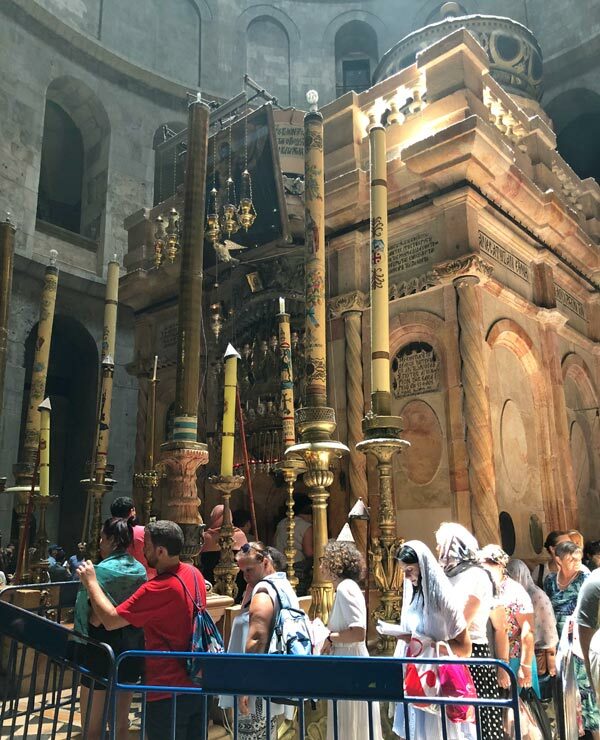 For me, that became a theme for my trip to Jerusalem: with so much to see and do, reflection became an important way to process and appreciate all that we were so fortunate to experience. 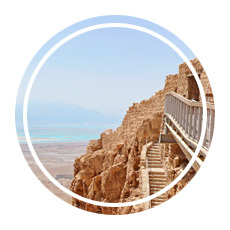 There are many reasons that travelers visit Israel. For many—maybe most—it’s part of a religious pilgrimage, an opportunity to see some of the most revered and recognized places in Christianity, Judaism, and Islam. For others, like us, it is part of a historic adventure that transports you more than two millennia back in time to the people, traditions, and places that have influenced generations since. 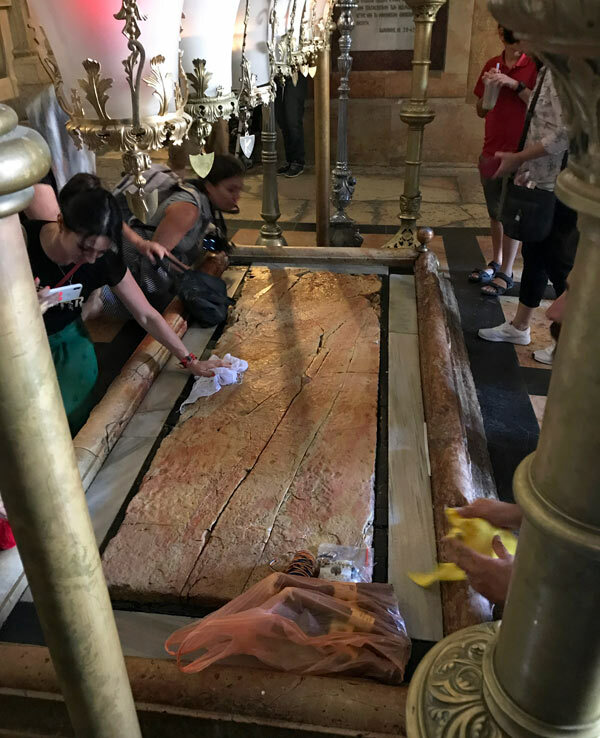 We spent two days exploring Jerusalem and the Holy Land, and while we would have enjoyed far more time there, we filled our days with some of the most impressive sightseeing and incredible educational opportunities we have enjoyed to date. 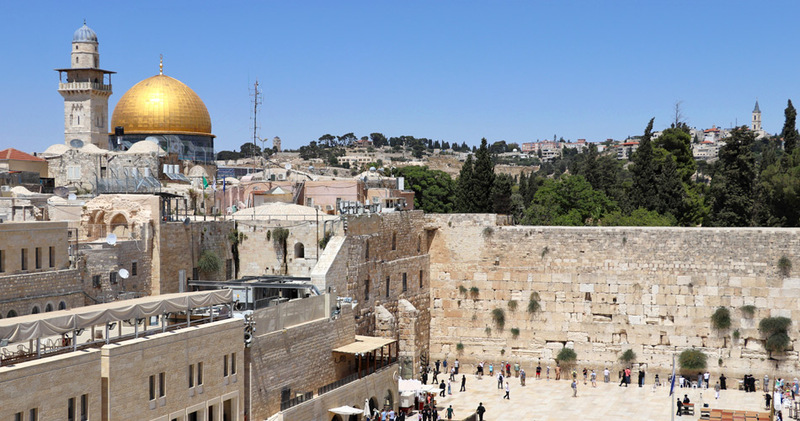 If you plan to visit Jerusalem, here are some of the places you won’t want to miss! As a note, our trip took us to Jerusalem and Bethlehem, a small city to the south of Jerusalem on the West Bank that is recognized by some nations as part of the Palestinian territory. The conflict between Israel and Palestine is well-documented, and it is important to be educated about it. 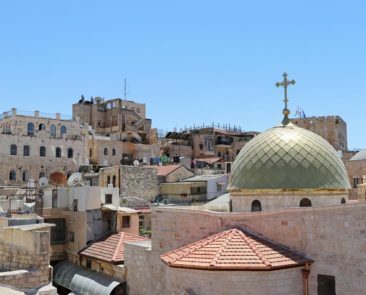 Because we are history-motivated travelers, we’ll share our perspectives on the places we think fellow travelers should visit throughout the Holy Land through that lens and without commentary on the religious or political beliefs of those who call it home. For a truly immersive experience, the Stations of the Cross provide a sobering walk through Jerusalem. 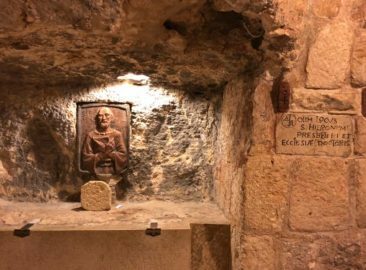 Known as Via Dolorosa, or “the Way of Grief,” it is recognized as the route Jesus followed on the way to his crucifixion. We started our walk at the first of the fourteen Stations, just past the Lion’s Gate, where Pontius Pilate condemned Jesus to death. 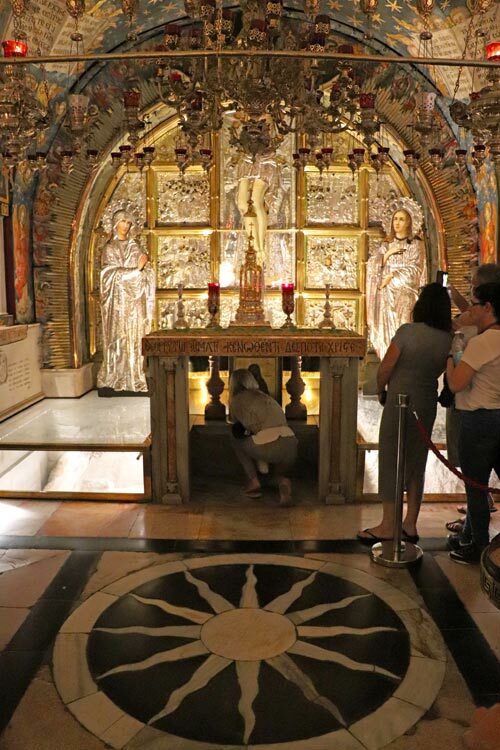 The second Station is famous because it is where Pilate gave the Ecce Homo, or Behold the Man, speech, placed a crown of thorns upon Jesus’s head, and gave him the cross he would then carry to his crucifixion. The Stations continue through Jerusalem’s souks, depicting the spots where Jesus stumbled (three times, according to tradition), where he met his mother, and where Veronica wiped his face with her veil. 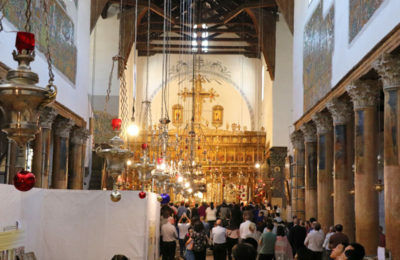 Only the first nine Stations of the Cross are found along this route; for the remaining five Stations, you have to enter the Church of the Holy Sepulcher. When visiting Jerusalem’s Old City, one of the first places you are likely to visit is the Lion’s Gate. 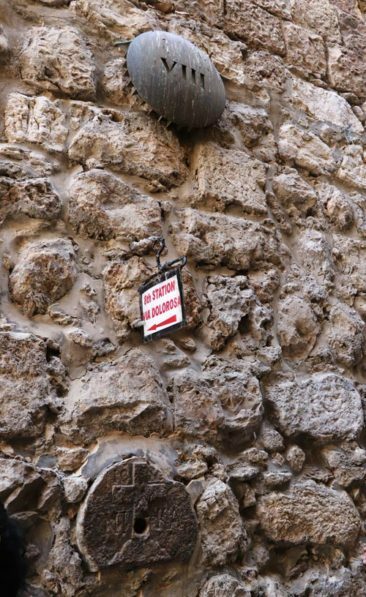 The Lion’s Gate is one of the most highly-trafficked openings in Jerusalem’s Old City Walls. Built in 1542 by Ottoman Sultan Suleiman, there are a few tales about why the gate came to bear the images of leopards (commonly mistaken as lions, hence the gate’s name), all of which are related to dreams about lions protecting the city. The gate itself is large and impressive, and it’s widely known as the first Station of the Cross. Perhaps the most holy site in Jerusalem, the Church of the Holy Sepulcher stands above the spots where Jesus of Nazareth was crucified, buried, and resurrected. 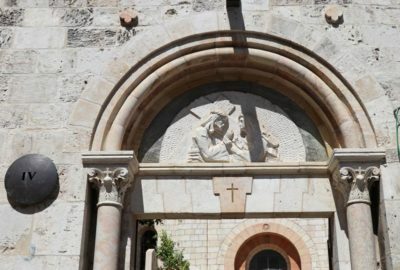 Built in the 4th century AD, it is one of the oldest churches in the world and welcomes millions of pilgrims each year who want to worship or reflect upon what the site means to Christianity. It is also home to the remaining Stations of the Cross. From the main square, the tenth Station of the Cross is the archway, where Jesus’s garments were removed. He then continued to what is now the Altar of the Crucifixion, where the cross was driven into the ground. This spot now serves as the eleventh and twelfth Stations, where Jesus was nailed to the cross and ultimately died. 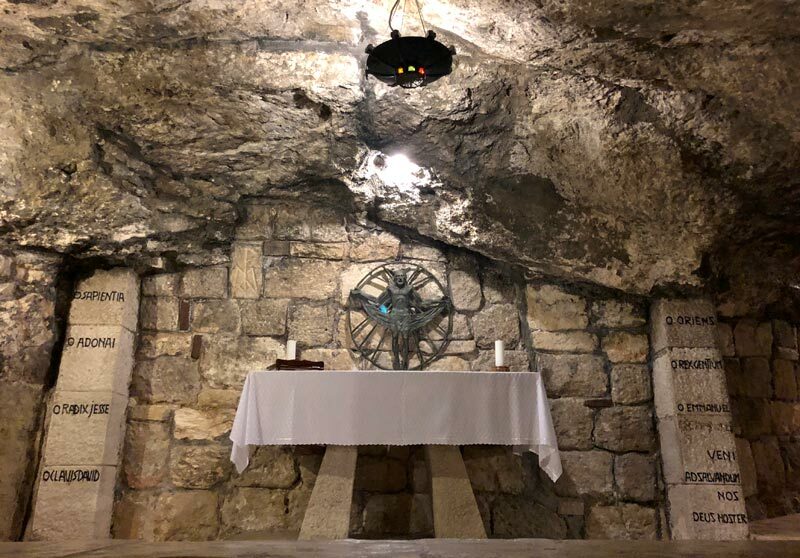 Today, visitors will kneel down before the altar and can reach underneath it, where it is possible to feel the Rock of the Calvary, the spot where the cross once stood. 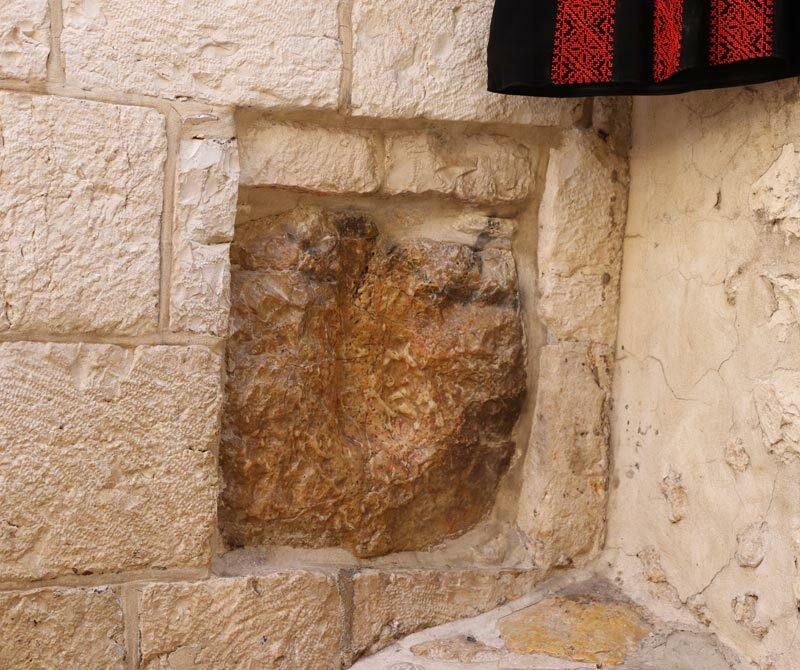 To the right of the altar is a stone with an enormous crack in it; the crack is mentioned in the Bible in Matthew 27:51 as the result of an earthquake that struck just as Jesus died. 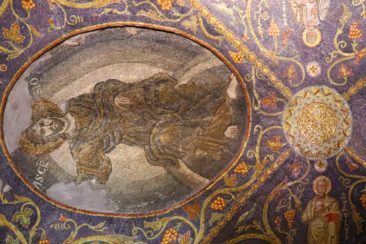 Underneath a mosaic depicting Jesus’s death is the thirteenth Station, which is the Stone of the Anointing or the Stone of the Unction. It is believed that Jesus’s body was laid on the stone as it was prepared for burial. Today it is very common to see crowds of people praying at the stone. 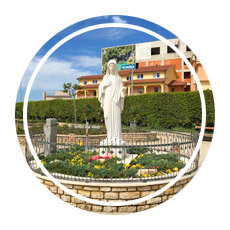 Many people will take their rosary or other sentimental belongings and press them to the stone, which is seen as a blessing. 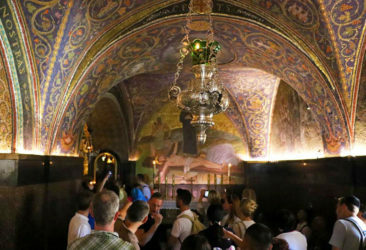 The final Station of the Cross is the aedicule and Jesus’ tomb, a beautiful shrine where Jesus’s body rested for three days after which, according to Christian tradition, Jesus was resurrected. 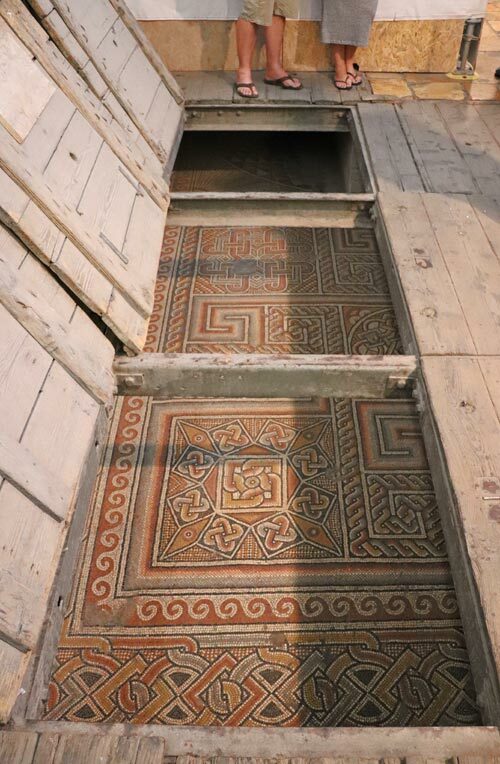 It is possible to enter the aedicule itself, where there are two rooms as well as the tomb. The line to enter the Tomb of Jesus can extend for more than an hour, so many visitors will skip a visit to the interior—and, of course, it’s empty anyway. 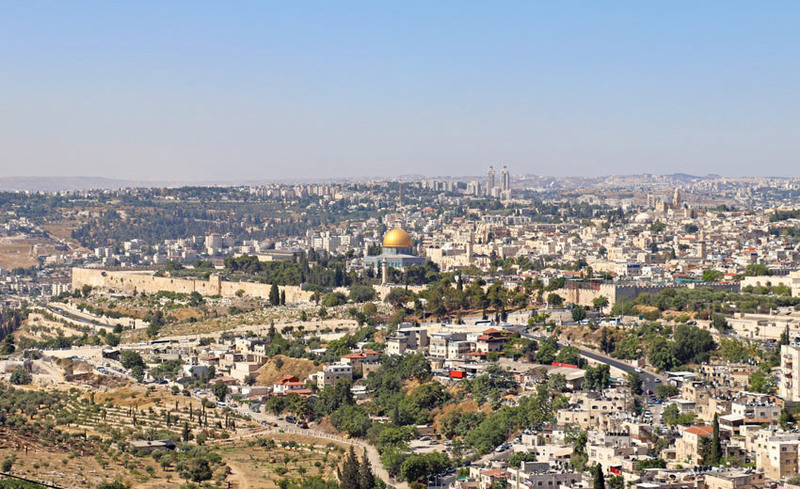 The Temple Mount, or Haram esh-Sharif, was built by Herod the Great in 692 AD and stands as one of the most holy sites in the Sunni Muslim and Jewish traditions. One of its most identifiable features is the Dome of the Rock, which is one of the most recognizable structures in Jerusalem. 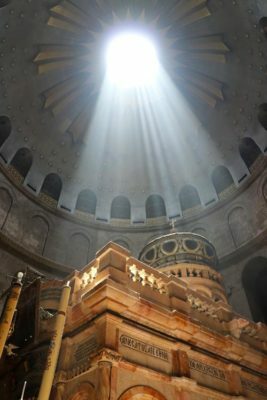 Muslims believe that Muhammed ascended to heaven from the rock, and the Jewish tradition—which calls it the Foundation Stone—recognizes it as the rock from which the world was created, making it their most holy site. Two ancient Jewish temples were located in the Temple Mount, and today many Jews will not enter the space because they do not want to accidentally stand where God’s presence is believed to be and is therefore sacred ground. Additionally, they believe a new temple will someday be erected there to replace the two temples that were destroyed centuries ago. Views of the Temple Mount can be seen from many points throughout Jerusalem, but visiting can be difficult due to a number of restrictions including limited opening hours. Only Muslims can enter the Dome of the Rock, which can impact your visit depending on your reason for making Temple Mount part of your itinerary. 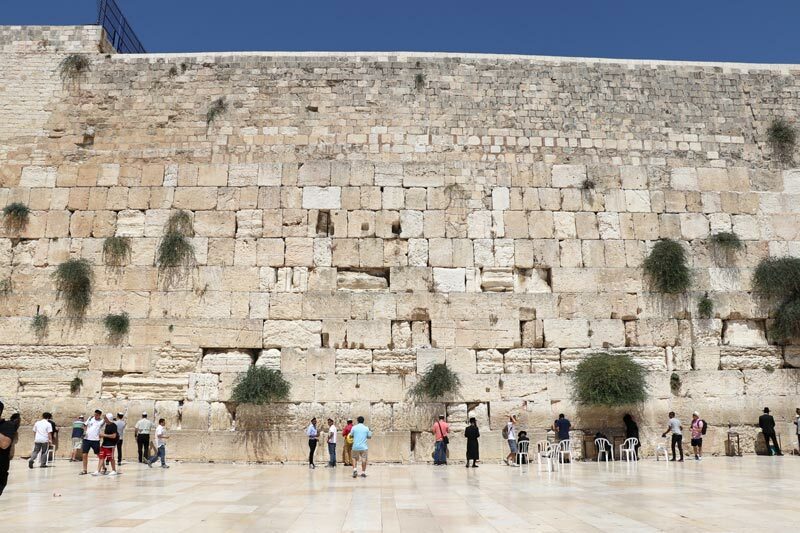 For many people, especially those of the Jewish faith, the Western Wall is the most holy place to pray in Jerusalem. The Western Wall is actually the western wall of the Temple Mount. 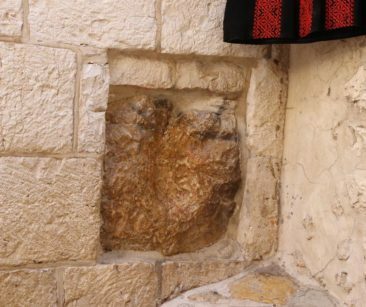 Because Muslims are the only faith allowed to pray at the Dome of the Rock, a small section of the wall in the Jewish Quarter is used for prayer instead. 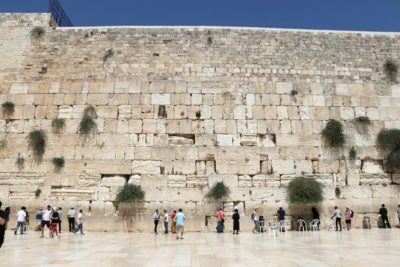 The Western Wall is also commonly known as the Wailing Wall as a nod to those who have cried over the destruction of the two temples that once stood at the Temple Mount. Visiting is a moving experience; visitors are separated by gender before they are allowed to approach the wall. One of the most lovely traditions is to leave prayer notes in the cracks of the wall, a practice that likely started in the 1700s. More than one million prayer notes are left each year. If you visit the Western Wall, consider writing your prayer note on a small piece of paper before arriving, as paper is not supplied. Many hotels will provide a complimentary notepad and pen with your stay, so consider using that to write your note before you visit the Western Wall. There was a small collection of religious texts available to borrow as well. 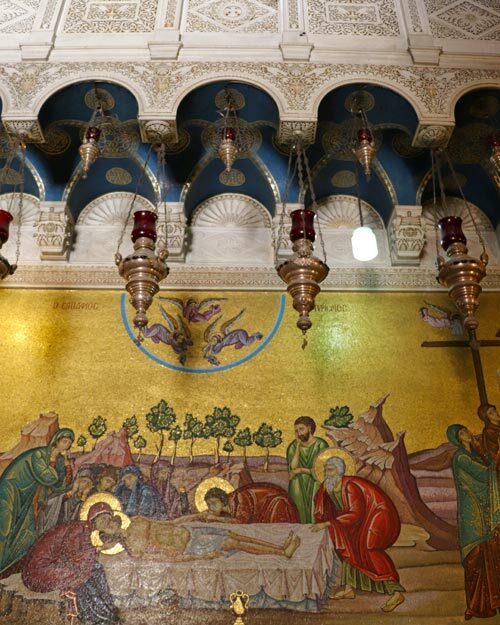 Located in Bethlehem, the Church of the Nativity stands over the spot where Jesus of Nazareth was born. The church was constructed in the fourth century AD and still boasts mosaics that were installed in the sixth century. Entering the church requires bending at the waist to enter the Door of Humility, a 4-foot tall (1.2-meter tall) doorway. The door opens into the Basilica of the Nativity, maintained by the Greek Orthodox community. 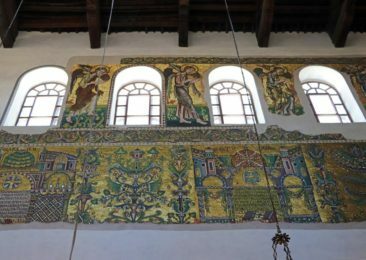 The impressive space boasts 44 columns, magnificent artwork, and some of the original mosaic from the Constantinian basilica which can be seen along one wall (it appears almost as if through a trap door, as the more recent flooring was placed on top of it). Roman Catholics and the Armenian Apostolic also worship within the Church of the Nativity, and because we visited on a Sunday we had a chance to witness a little bit of each of their services. 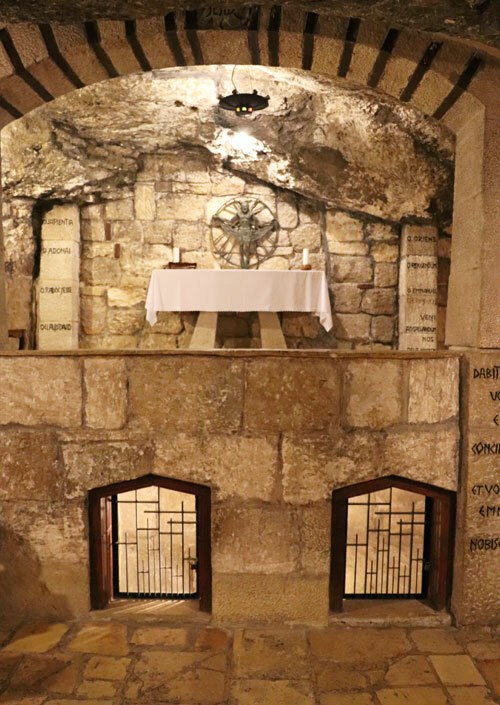 The Grotto of the Nativity is the most interesting space to visit; the caves are widely believed to be the spot where Jesus was born. 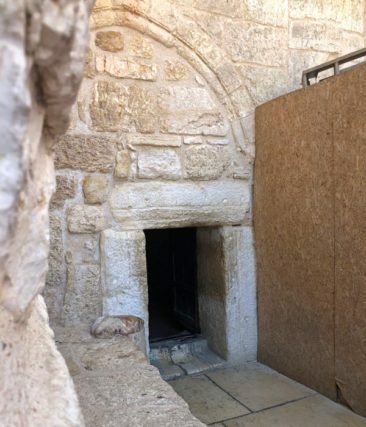 While many people think of a wooden stable in an open-air field when they think of Jesus’s birth, the reality is that stables were more commonly caves during that point in history. Today the grotto is a peaceful, well-lit area accessed by a steep staircase. There is a silver star in the floor that marks the spot where Jesus’s mother Mary is believed to have laid him in the manger, a clear point of interest for most visitors. 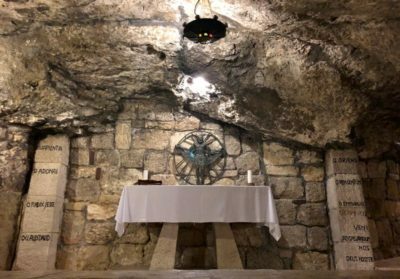 Latin inscriptions throughout the grotto share Bible verses and reflect on the events that happened there. 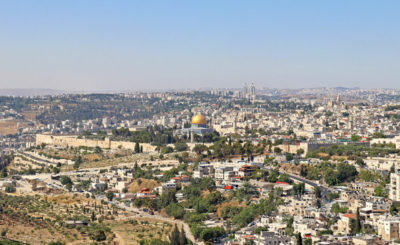 If panoramic views of Jerusalem are what you seek, Mount Scopus is the ultimate destination. The name translates to Mountain of the Watchers, a fitting description for a point with historic and strategic relevance. 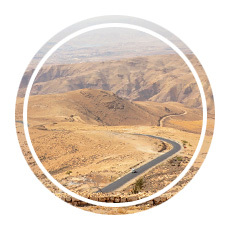 Both the Roman army and the Crusaders used Mount Scopus to plan attacks on the city. Today, on a clear day, you can see almost the entire city skyline and as far as the Dead Sea. It’s also the location of Hebrew University, a popular attraction in its own right. We were fortunate to have terrific weather that provided a great opportunity to pause and reflect. 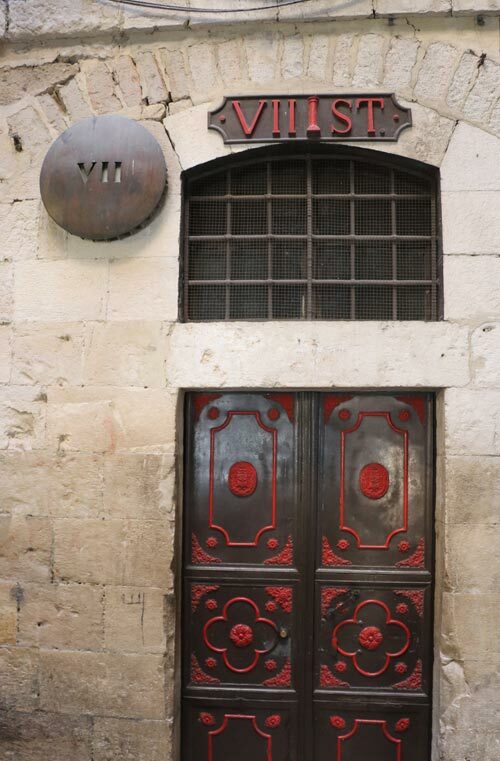 We stayed at the Eyal Hotel in Jerusalem, which is not far from the Old City. We really enjoyed our stay; we had a large room that was a bit noisy for us (the balcony doors opened on to a very busy street overlooking an active construction site), but the extensive breakfast buffet and great service made up for that inconvenience. We thought the location was great, and we were within an easy walk to some good restaurants. We also appreciated the proximity to the Old City, since that was where we spent most of our time. Overall, the Eyal Hotel is a good choice and one we would choose again the next time we visit Jerusalem. Are you looking for more hotel options in Jerusalem? Here are some deals to consider. 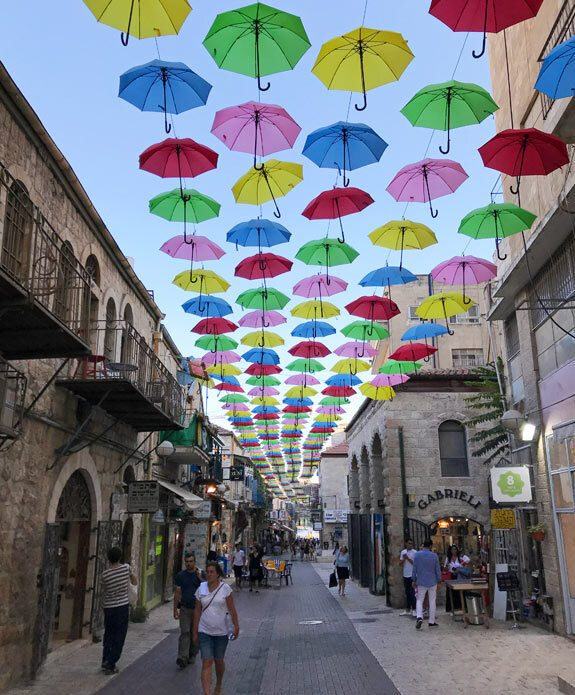 Our two days in Jerusalem meant we only had a couple of chances to check out the local cuisine—but we hit home runs with both of the restaurants we tried! Located close to our hotel, we stopped into Tmol Shilshom for dinner one night and were instantly happy with our decision. Part café and part bookstore, the ambiance was relaxing and just a bit eclectic. We tried a few different dishes: we started with an eggplant and hummus appetizer that was very tasty, and we had beet gnocchi in a rich, beet-flavored cream sauce and tagliatelle with olive oil and black pepper for our main courses. The beet gnocchi especially was incredible; the beet flavor wasn’t overpowering, and the pasta was perfectly cooked. The service was terrific, and we left happy. We wandered into Focaccia Bar for the same reason we tried Tmol Shilshom: it was close to our hotel, and after a long day of sightseeing we were too tired to venture far from our hotel room. Focaccia Bar is a tasty, non-kosher choice if you are visiting Jerusalem. We tried the signature focaccia as well as a standard pizza and thought both were delicious and were just what we needed after walking for almost 10 miles earlier in the day. We were also impressed with the wine selection and the decadent chocolate cake we had for dessert. Although you might not think of Jerusalem as a wine destination, you’ll be surprised to find wine on many restaurant menus. Israel has close to 300 wineries—putting the country on par with Virginia—and its winemaking tradition dates back to biblical times. Today, most winemaking benefits from modern technology brought from France and the United States, and the Mediterranean climate is well-suited to producing many different types of wines. We didn’t have a chance to visit the wineries themselves, but we did make a point of selecting local wines each night during dinner. One of our favorites was a Gewürztraminer from Golan Heights Winery, which was a light, crisp wine with a slightly floral nose and a dry finish. We also tried their Sauvignon Blanc, which is a terrific summer wine with a slightly sweeter finish. Of the red wines we tried the blends were the best, but Adam especially liked the Alon from Galil Mountain Winery, which was full of red berries and cherries. Although we traveled to learn about Jerusalem and its incredible history, it is important to remember that its religious ties make it a pilgrimage destination for millions of people each year. Dressing conservatively is appreciated by everyone, and it’s a requirement for many attractions including the churches. While not always required, men should wear long pants, and Adam was comfortable in a lightweight long-sleeved shirt. I wore long pants and a tee shirt, and I took a cardigan with me for good measure. Women can also carry a scarf or pashmina to cover their shoulders, a popular choice for many people. This is not a time for short skirts, strapless shirts, or anything revealing; out of respect for the many religions, the people, and the cultures, Jerusalem is not the place to show a lot of skin. 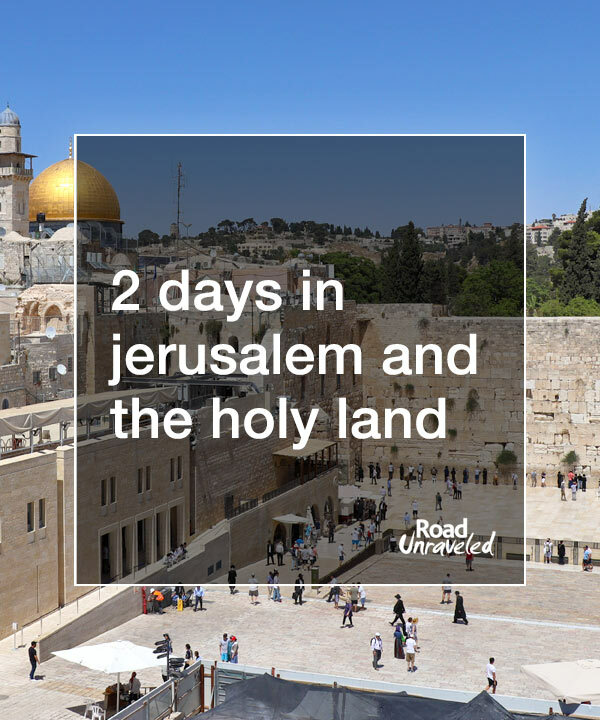 Enjoy Jerusalem and the Holy Land! 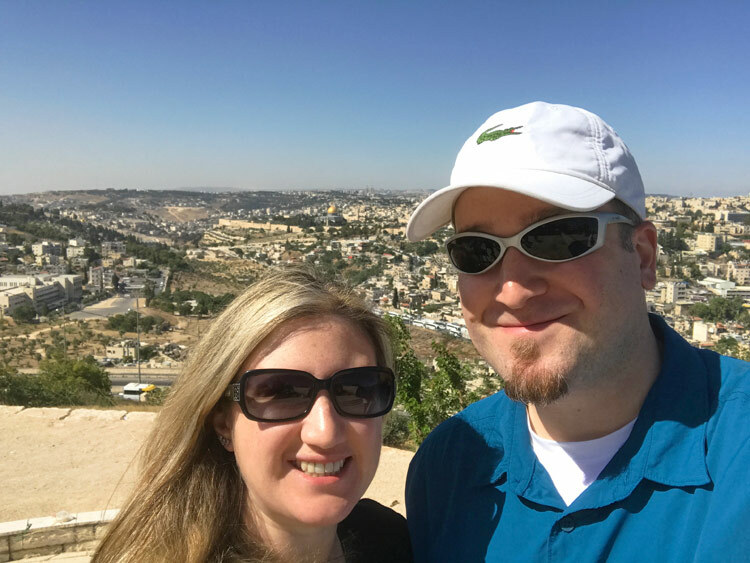 Visiting Jerusalem was a true dream come true for Adam and me. It’s a spectacular place with friendly people, amazing sightseeing, and something new to experience and learn at every turn. 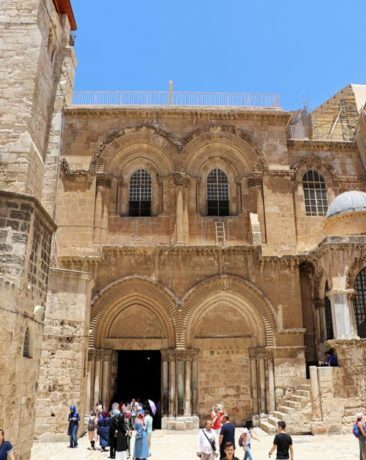 If visiting Jerusalem and the Holy Land is on your bucket list, it will be a trip of a lifetime and worth every vacation day it takes to get there. Leave a comment below and let us know if Jerusalem is in your travel plans—and share your tips on how to make the most of your time there with us! 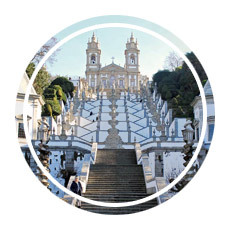 Want to read about a few more religious sites around the world? Here are a more articles to check out!